Belmont University’s Curb Event Center announced today that the OUTCRY Experience and Tour will be on campus April 26. Offering a number of different experiences, including workshops and Q&A sessions, the event promises to be both education and inspiration for attendees. Featuring a unique combination of artists and worship leaders, the OUTCRY: Spring 2018 Tour provides a rare opportunity to worship with a wide variety of artists and hear a message from one of the renowned speakers of the day. 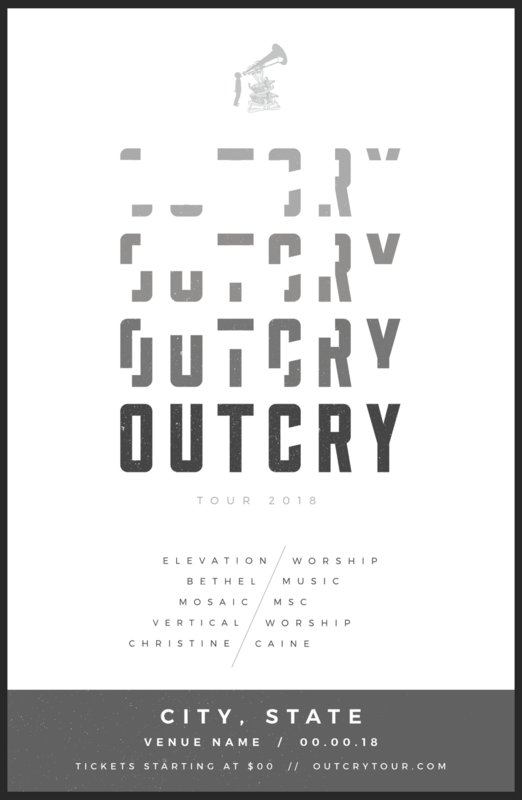 Artists teaming up for the OUTCRY: Spring 2018 Tour are Elevation Worship, Bethel Music, Mosaic MSC and Vertical Worship, with speaker Christine Caine. For more information and to register, visit outcrytour.com.